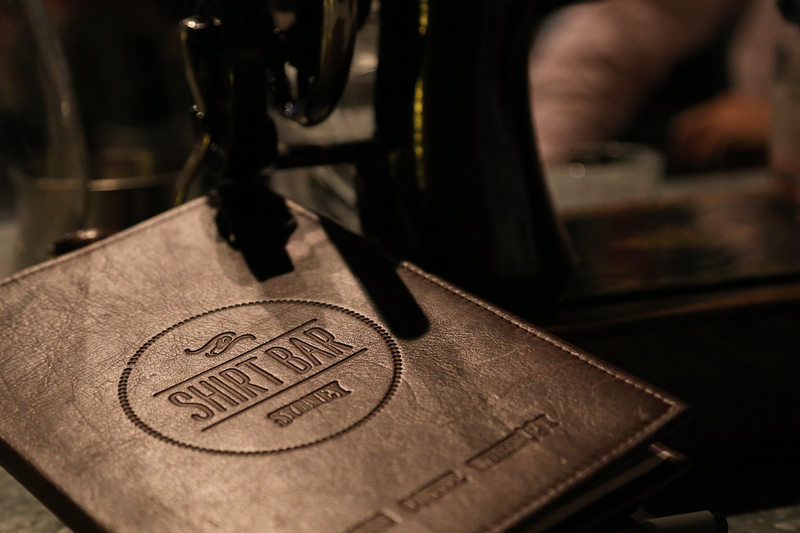 A stroll from Sydney’s Wynyard Station in a small laneway separating Kent Street and Sussex Street, you’ll find a cosy coffee by day/drinks by night establishment called Shirt Bar. Oh I left one thing out, they also sell shirts – lots of them! According to their site, they’re all about three of the things they love ‘tailored shirts, freshly roasted coffee and great whisky’. Walk through the doors and it’s not hard to see this represented in the eclectic styling of the warm and friendly fit-out. Anyone who knows me knows how much I enjoy a nicely tailored shirt and a good coffee. 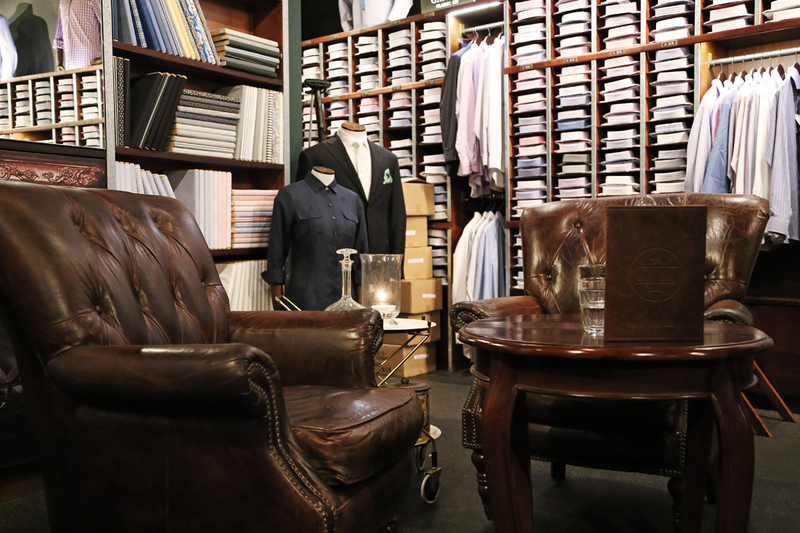 But on a miserable, rainy Wednesday evening, it was Shirt Bar’s third love that saw me perched at a table up the back with some like-minded company. See, they don’t just enjoy and serve great whisky, but they’ve gone one step further and have set up their own appreciation group aptly called Scotch Club. I always keep an eye out for drinks and whisky tastings in Sydney and I’d read a bit about Scotch Club. I’m on their mailing list and I’ve read some great reviews of their events by fellow whisky fans Martin and The Baron – but their events always happened to fall on a weeknight when priorities clashed, so I’d never actually been along to one. This was about to change though. 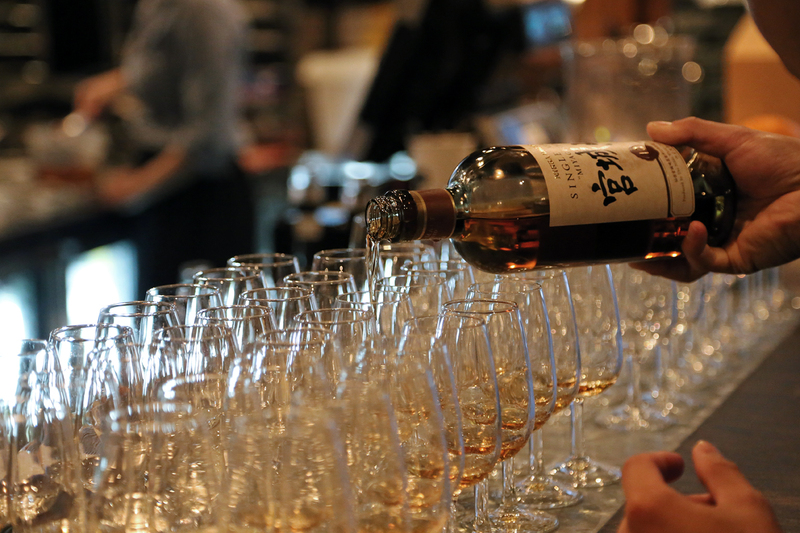 My first Scotch Club was all about some of the whiskies that come out of Japan’s Nikka distilleries, Miyagikyo and Yoichi. 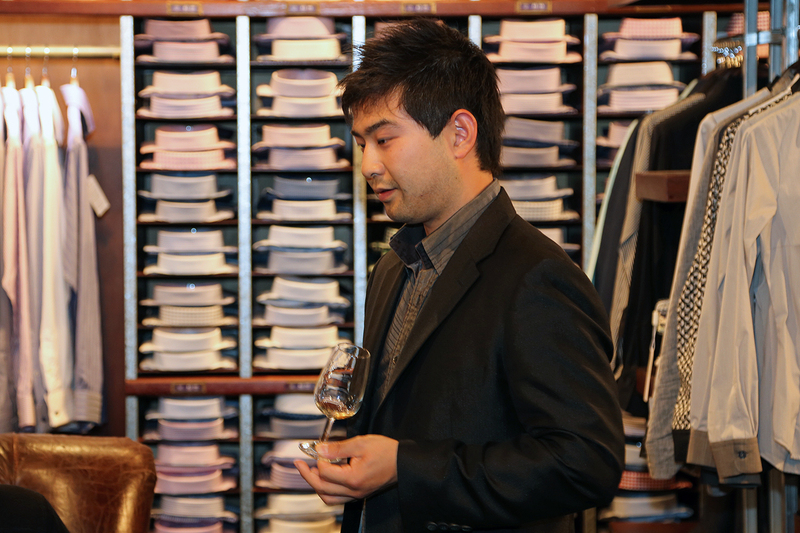 To take us through four of their whiskies, our host for the evening was their Australian brand ambassador, Taka. 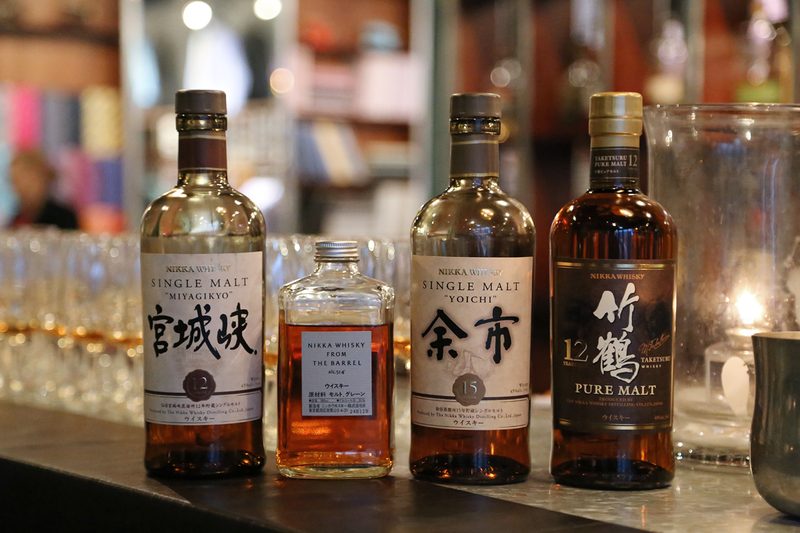 I must admit I haven’t had a whole lot of exposure to Japanese whisky, so I was really looking forward to this tasting. Here’s what we got to taste. First up was a single malt from the Miyagikyo distillery, which you’ll find in northern Honshu, near Sendai. Built in 1969, the Miyagikyo distillery produces a lighter style of whisky thanks to its steam-fired bell-shaped stills, which require a longer and gentler distilling process. Interestingly (for a whisky nerd like me), the stills also have an ascending lyne arm, ensuring only the lightest spirit is collected. This was indeed noticeable when nosing and tasting. On the nose, I got some citrus, apple cider notes, pear and a touch of sweetness and spice. I also got a note that I couldn’t quite put my finger on, but I jotted down ‘oddly meaty’ – whatever that means! Fairly thin and light on the palate (surprising for a 45% ABV), reminded me very much of a Lowland style Scotch whisky. Soft sweetness, slight sourness, pears and quite a dry white wine-like finish. 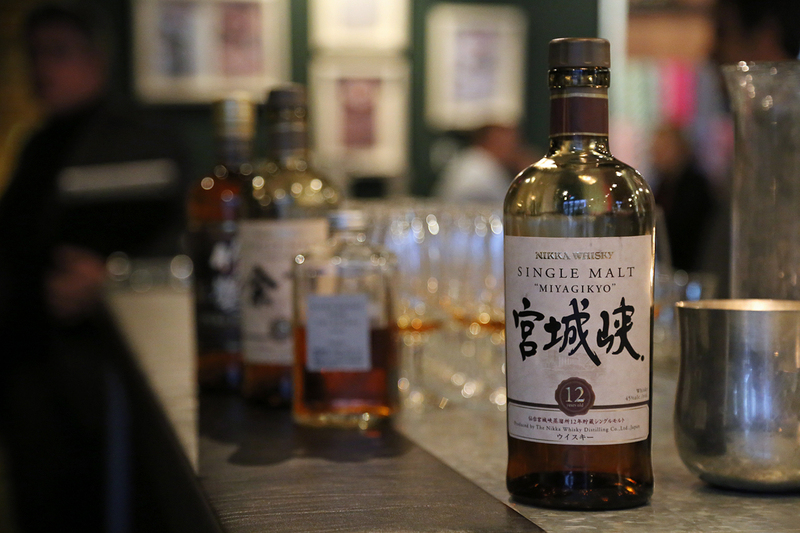 The next single malt came from the second distillery in Nikka’s portfolio, Yoichi. In contrast to Miyagikyo, at Yoichi, they have a much faster and more intense distilling process, using direct coal-fired straight column stills fitted with descending lyne arms. Their water source is an interesting one too – using naturally peated water collected from an underground aquifer that lies beneath the distillery itself. All of these factors contribute toward producing a much heavier style of whisky. On the nose I got a hint of sweet smoke, salted caramel notes and something a bit raisin-y. Much heavier on the palate than the Miyagikyo (they’re both bottled at 45% ABV) with some salty/saline notes, seaweed, light smoke and a bit of spice on the finish. 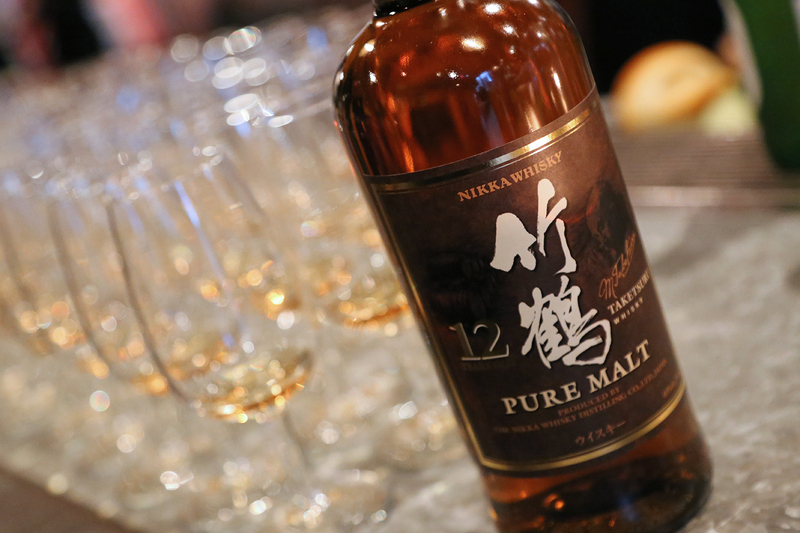 The Taketsuru Pure Malt 12 year old is a blend of both Yoichi and Miyagikyo single malt whiskies (so there’s no grain in this one – similar idea to the Johnnie Walker Green Label). Bottled at 40% ABV, this was the lightest of them all. I got some green apples and pears on the nose, vanilla notes and touch of spice. Reminded me a little bit of The Glenlivet 12 year old. Very smooth on the first sip, light sweetness, some gentle sour apple notes, maybe a touch of nuttiness, then bang – nothing. This has got to be the shortest finishing whisky I’ve ever come across. I think apple juice probably has a longer finish then this. That’s not to say it’s a bad whisky (because its not), but I personally didn’t find it overly satisfying. I can see this being a great introductory whisky for a first-timer. 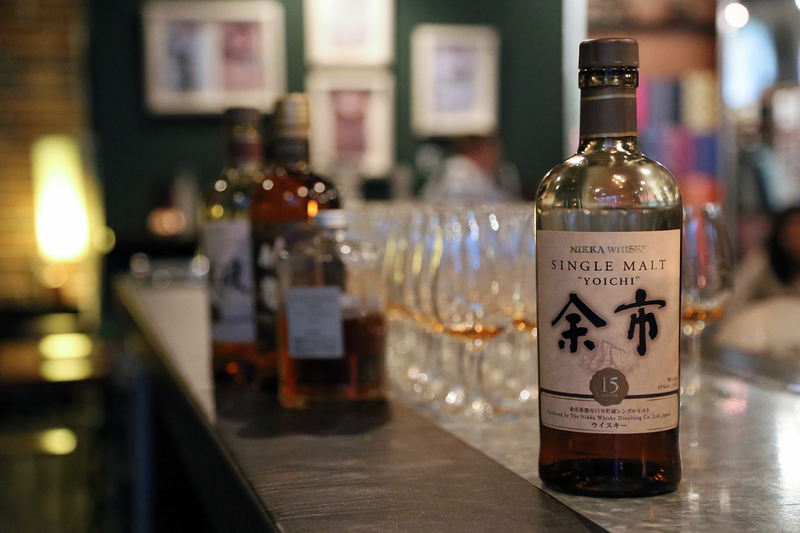 The last whisky of the evening was also a blend of single malts from Yoichi and Miyagikyo, but this time there’s some aged grain spirit in there too – specifically, a grain spirit produced at Miyagikyo using imported corn from the US! The components are then married together and left to sit for a few months before being bottled. Lovely and rich on the nose, sweet fruits, creamy, hints of spice and some faint bourbon notes. Big and juicy on the palate (it’s bottled at 51.4% ABV), caramel sweetness and some vanilla finish with pleasing spice notes. 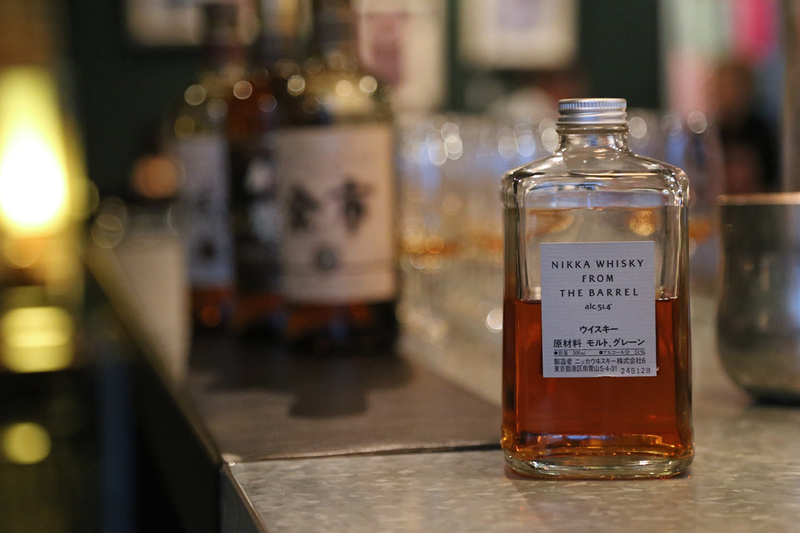 I had only ever heard good things about Nikka from the barrel and it’s not hard to see why – it’s a mighty fine blend indeed. I should also mention that the tasting was accompanied by some quality food – individual servings of sushi, plus generously-sized charcuterie and cheese share plates. As for the venue, Shirt Bar really is quite a cosy spot. The eclectic styling, interesting furnishings and odd bits of bar and tailoring paraphernalia make it an enjoyable spot to just sit back, relax and enjoy a few drinks, and that’s what the crowd seemed to do. Whatever your reason for being there, it looked like everyone was enjoying themselves. The pours were a bit on the light side and I probably didn’t get to taste enough of each whisky to develop a proper opinion. But one thing I did get out of the evening was a real interest in exploring the world of Japanese whisky a whole lot more. Whilst it’s a much younger industry (compared to the Scotch whisky industry), it’s still rich with history and great stories that make some of these whiskies truly fascinating.